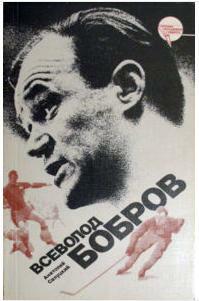 The following book is a biography of Akardy Cherneyshev, the famed coach of Moscow Dynamo. It is written by a fellow named M. Aleksandrov. Published in 1979, this book is over 180 pages and contains over 20 rare black and white photos. Here's a look inside the book, including a photo of the great coach with the Stanley Cup! 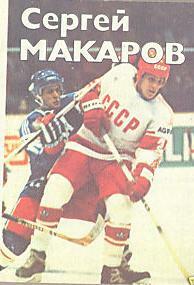 The next book is a biography of the great Sergei Makarov. This book was written by O.Spassky, and published in 1987, when Makarov may have been at the zenith of his greatness. Seriously, there was no doubt he was one of the top ten players in the world at that time, maybe even top 5. He should be in the Hockey Hall of Fame. Here's another biography, this one about Victor Konovalenko. 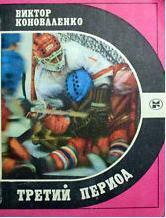 He was a Soviet goaltender in the days before anyone heard of Vladislav Tretiak. It is no wonder why no one in North America knows about him. This book, titled "Third Period," was published in 1986.